A while ago we were contacted by the Pianodrome project, asking for some help identifying wood species. They plan to build a 100-seat amphitheatre entirely from up-cycled (no longer wanted) pianos. 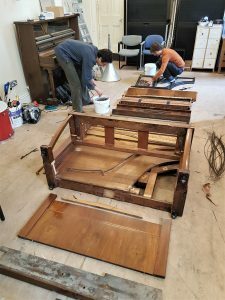 We took away some pieces from several parts of one of the pianos, which they kindly dissected for us. Altogether, our wood ID expert, Stefan Lehneke, found 8 different types of wood and managed to identify 7 of them. The materials from which a piano is made are very important to its quality as an instrument, affecting both the sound and the playing experience. That there are so many different species used in a single instrument is a good illustration that the quality of wood depends very much on what that wooden part is for. The desirable properties of wood always depend on the application. The types of wood found in our piano were: beech (Fagus spp. ), birch (Betula spp. ), hornbeam (Carpinus spp. ), lime (Tilia spp. ), juniper (Juniper spp. ), pine (Pinus spp.) and spruce (Picea spp.). There was also one piece of, not yet identified, tropical hardwood, used for the decorative veneer. These species were chosen for reasons relating to wood properties and characteristics, but species alone is not a very good indicator of wood quality as there is a lot of variation within a species. In what follows below, we associate certain properties and characteristics with species – but we really mean is that it tends to be like that – or that it is is easier to find wood like that from that species. Wood identification can be rather difficult, and the wood of different tree species can be very similar. This means it can can often only say the genera, rather than a particular species. This is especially true of softwoods. 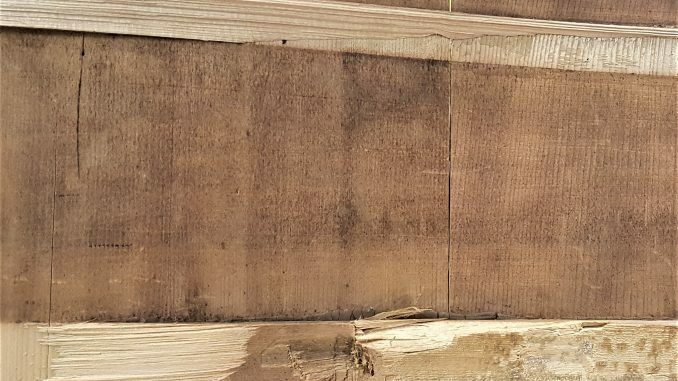 If you are curious about wood identification, its methods and challenges a good primer can be found at the wood database website, along with a really easy to use wood finder. When a piano key is pressed, a lever system called the action is set into motion, causing a hammer to strike the strings for that note. The strings’ vibration is transferred to the soundboard via a bridge. The soundboard is a large, thin plate which acts as an amplifier of the sound. It is strengthened and stiffened by ribs. For tuning the piano, the tension in the strings is adjusted by means of tuning pins held in a pin block (the other ends are the fixed hitch pins). The tension in the strings so high that a metal frame (or “harp”) is needed, but this very heavy object still needs to be supported inside the body of the piano – which consists of the structural parts (the frame and legs), the case and lid. In our piano, the soundboard was made from spruce (Picea spp.). Given the age and origin of our particular piano, it’s quite likely to be Norway spruce (Picea abies) but could also be another commonly used spruce species such as Sitka spruce (Picea sitchensis) or white spruce (Picea glauca). Piano soundboards are not one solid piece of wood. They are made from many smaller planks, of about 10 to 15 cm width, that are glued together edge to edge (it would be very hard to find bigger pieces of the right quality). The top of the board is slightly domed towards the strings (called a crown), which helps to keep the bridge in contact with both the boards and the strings. Despite the harp, the stings pushing down on the bridge still puts quite a lot of force on the soundboard so it needs to be quite strong to maintain the crown, and not split, even though it is under this force for many years. This means that the soundboard needs a very particular balance of strength, stiffness, density and damping. The stiffness, density and damping influence how much air the board is able to push, how quickly the vibration of the strings is transferred to the board, and how long the board continues to vibrate. These are very important to the volume and timbre of the instrument. Spruce is particularly lightweight for its strength and stiffness which is why it also used to be the species of choice for building aircraft. It can have straight uniform grain which helps the maker predict and control the vibration response of the soundboard (because wood stiffness is very different along the grain, compared to across it). Spruce also glues well, and is easy to dry and work which helps with the important task of shaping the soundboard correctly. The ribs, which help stiffen the soundboard, and strengthen it in the weaker across-grain direction (while keeping it lightweight), are typically made from spruce, sugar pine (Pinus lambertiana), or some other kind of softwood. They still need to be strong as these help maintain the crown of the soundboard against the force of the strings, and they still need to be light as their mass also adds to the inertia of the soundboard. In our piano the ribs were made from pine (likely sugar pine – see frame and legs, below). It is worth pausing here to remark that running the ribs perpendicular to the grain in the soundboard comes with a downside. Wood is constantly exchanging moisture with the air and when it is humid the wood swells and when it is dry the wood shrinks. The swelling and shrinkage along the grain is very small compared to the across-grain shrinkage. This means that moisture movement of the soundboard, restrained by the ribs) will create stresses in the board. If those stresses get too high the soundboard may crack or split. The job of the bridge is to connect the source of the sound (the strings) to the amplifier of the sound (the soundboard). Since the strings are pulled over the bridge under very high tension they press with high force onto the bridge. The strings are supported by metal pins on the bridge, which define the exact vibrating length of the strings – so the wood for the bridge needs to be very hard and stiff to hold the pins firmly in place without splitting or compressing. In our piano the bridge is made from beech (Fagus sylvatica), but they are commonly also made from hard maple (Acer saccharum) – or both beech and maple laminated together. Beech is a good low-cost, strong, hard and dense wood, but it does suffer from high moisture movement (shrinkage and swelling) in service. The hard maple is well named, being stronger, stiffer, harder, and denser than all the other commercially available maple woods, and is the same tree that gives us maple syrup (aka sugar maple). The pin blocks hold the tuning and hitch pins, and like the bridge they need to be able to hold those pins firmly in place. As with the bridge, our pin blocks were beech, but they can also be made from maple. Sometimes there is a thin layer of another type of wood laminated on top. The special feature of the piano is that the force and speed with which the key is pressed subtly changes the way the string is set vibrating by the hammer, and so the feel of the key and action are very important for the player’s experience. So the keys and action need to be made of wood that is not too heavy and not too light, can be carved well into precise, small components, but also has good resistance to wear since they are pressed many times. The keys and action also need to be particularly good with moisture stability as any distortion with change in humidity would change the playing action. On our piano, the keys of the keyboard were made from lime wood (Tilia spp.). It is not possible to say exactly the species but its likely small leaf lime (Tilia cordata), large leaf lime (Tilia platyphyllus), common lime (Tilia x europaea), or American basswood (Tilia americana). Piano keys can also be made from holly (Ilex aquifolium or Ilex mitis), sugar pine or spruce. On our piano the action was mostly made from hornbeam (probably Carpinus betulus), but in some pianos it is made from maple. It was interesting to us to find the hammer shafts of our piano were made from juniper. Again, it is not possible to identify the species from the wood, but it is probably the confusingly named pencil cedar (Juniperus virginiana) (see page 66 of the final woodmusick conference booklet) which is now virtually unobtainable, but did used to be used as in instrument veneer and soundboard too. The key tops provide both decoration and a hard surface to resist wear and that is nice to touch. The traditional well-known material for the sharps is ebony (Diospyros ebenum or Diospyros crassiflora) since it is wear resistant and a very deep uniform black colour, giving a good visual contrast against the white keys. In our piano the key tops were some kind of synthetic material (no doubt because of the cost). The structural frame may be jointed with glued in wooden dowels – in our piano they were made from birch wood. Almost all birch species cannot be distinguished from the wood, but it might be silver birch (Betula pendula), downy birch (Betula pubescens) or yellow birch (Betula alleghaniensis). These are cheap, available, easy to turn and easy to glue. The case needs to be attractive, so the wood needs to be good for taking a polish, paint or varnish (while also being resistant to scratches). Depending on the type of piano, it might also be curved requiring a wood that can be bent nicely. The case may actually be be made from thin sheets of wood that are glued together (like plywood) and is often covered in a thin decorative veneer of a wood to give the nice appearance – Maybe mahogany, rosewood, maple, cherry (Prunus spp.) or oak (Quercus spp.). In our piano the veneer was a tropical hardwood, but we have not been able to identify the species. 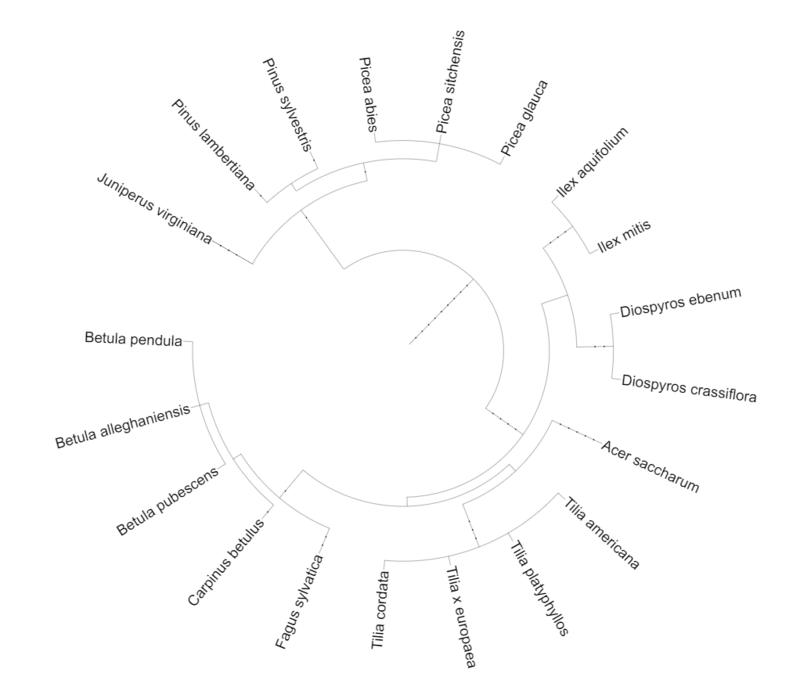 The image below is a phylogenic tree of these species, showing how they are related to each other. It was made using phyloT. You can see the separation of the softwoods (conifers) and hardwoods (broadleaves). 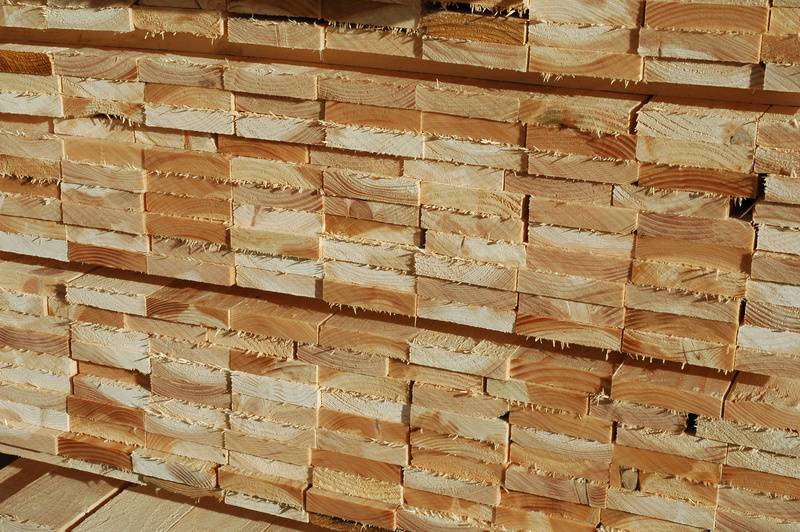 Juniper, pine and spruce are softwoods.